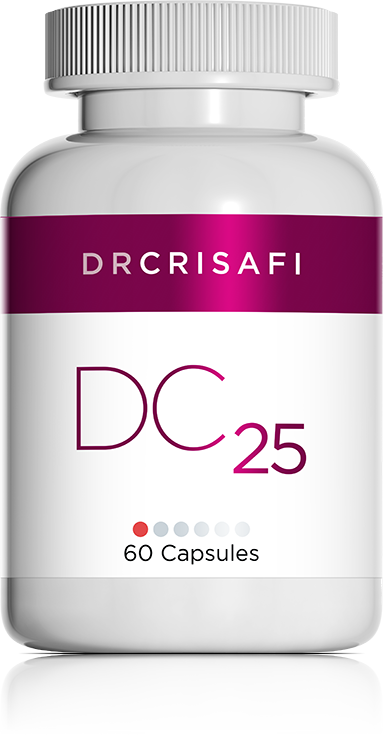 DC 25 is a natural anti-inflammatory and antioxidant. Bromelain is a digestive enzyme found in some tropical fruits. When taken with food, it helps digest proteins, but when taken without food, it has well-documented anti-inflammatory benefits. It has been shown to have an anti-inflammatory effect on the digestive tube, respiratory system, muscles and joints. Curcumin is an herb with very well-documented benefits. It has an antioxidant effect and improves digestion and liver function. Numerous studies have also shown its significant anti-inflammatory properties. Boswellia is an herb that has been used in traditional Indian medicine for more than 2,000 years. It is well documented for acting as an anti-inflammatory on the joints, tendons, ligaments and bursitis, as well as the respiratory and gastro-intestinal systems. It has also been suggested that Boswellia helps the body produce its own glucosamine. Harpagophytum is a plant traditionally used in herbal medicine to help relieve joint pain associated with arthrosis. Any disorder ending with "itis." May be taken with DC 23 in cases of arthrosis and DC 16 in cases of gastro-intestinal, respiratory or urogenital system inflammation.